Obituary for Patricia Kennerson | Genesis Funeral Services & Chapel Inc.
Gaffney - Patricia M. Kennerson was born on April 16, 1943, to the late Rev. Johnny H. Littlejohn and Mrs. Essie Mae Brown Littlejohn. On Wednesday, November 28, 2018 at 4:52 A.M., she transitioned form her earthy life to her heavenly life. Patricia graduated from Granard High School in 1960 and moved to Washington D.C. where she started her career as an apprentice for the Department of the Treasury, Bureau of Engraving and Printing. She went on to work there for 30 years and retired from the facility in Fort Worth, Texas. She was preceded in death by her husband Senior Chief Clayton Kennerson. 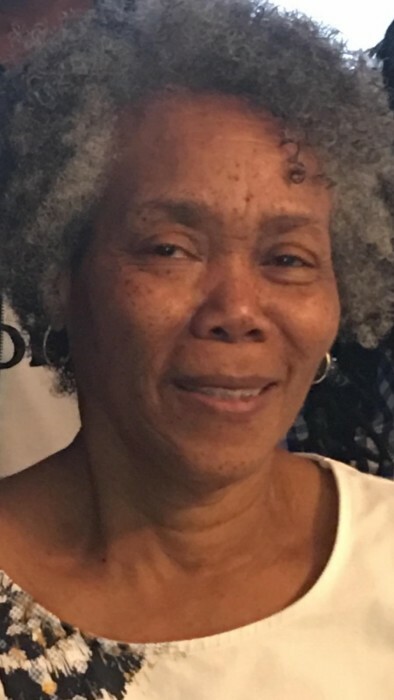 She leaves to cherish fond memories, one daughter; Patrice Yvette Guyton, three sons; Charles Anthony Wade Sr., George Vincent (Shandll) Wade, Thomas Lamar (LaTonyia) Guyton. Seven grandchildren; Charles A. Wade Jr., Jaleesa D. Wade, Alexaundria S. Wade, Ivana M. Guyton, Brittany M. Wade, Daymoni T. Guyton, Kendric B. Kirkpatrick. Two great-grandchildren; Isaiah Faulkner, Anavi Guyton. Funeral service will be held 11:00 a.m. Monday, December 3, 2018 at The Ebenezer Baptist Church. A thirty-minute visitation prior to the service. The family is receiving friends at the home of her brother, Larry (Frances) Littlejohn: 1205 Leadmine Rd. Gaffney, SC. © 2019 Genesis Funeral Services & Chapel Inc.. All Rights Reserved.